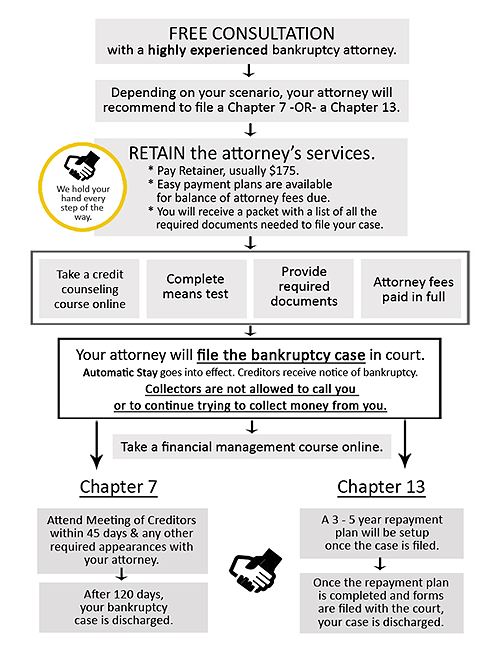 Bankruptcy can provide debt relief and a new financial start. But many hard-working people who have gotten in over their heads hesitate to consider this option. They have many misconceptions or needless fears about the bankruptcy process. At the Law Office of Stephen H. Swift, P.C., we have helped thousands of people obtain debt relief, and may be able to help you. Once you decide to work with our firm, we can take actions to stop all creditor calls, foreclosure actions and impending judgments. Our firm will then prepare the necessary documents and do everything needed for a successful bankruptcy filing. You will have to appear once in a bankruptcy hearing. The hearing is a legal proceeding before a bankruptcy trustee, not a judge. Our firm will explain what will happen at this hearing and represent you at all stages of the bankruptcy process. At the hearing, all you will have to do is answer a few questions honestly. Our firm will do all the rest — seeking to obtain maximum debt relief for you. Although a bankruptcy hearing is conducted in an agreeable and non-threatening atmosphere, the bankruptcy trustee is not your friend. The trustee is paid a commission and therefore has a vested interest in minimizing the amount of debt that is discharged. To obtain maximum debt relief, you need an advocate who will work to protect your rights during the bankruptcy process. Our firm will stand up for you during the bankruptcy hearing. We essentially hold your hand every step of the way as we navigate through the bankruptcy process. As a bankruptcy firm in Colorado with experienced professionals, we understand how to use the law to maximize the allowable exemptions and obtain the trustee’s approval of your debt relief plan.